The form 1099-K was introduced into law in 2008 and went into effect until 2011- it’s by far the youngest of the 15 different types of 1099 forms. XTRM provides this tax document pre-filled online to all payment recipients. They can simply login to their account and download and submit to the IRS in the usual manner. As with many IRS forms, compiling and filing 1099-Ks is more complex than it sounds: the good new is XTRM automatically fills it out for you. Here is an overview. The 1099-K is used to report payments processed by payment settlement entities (PSEs). A PSE comes in two forms, either a third-party settlement organization also referred to as a TPSO or merchant acquiring entity, MAE, (like banks). A third-party payment network is also a type of entity responsible for issuing form 1099-K. 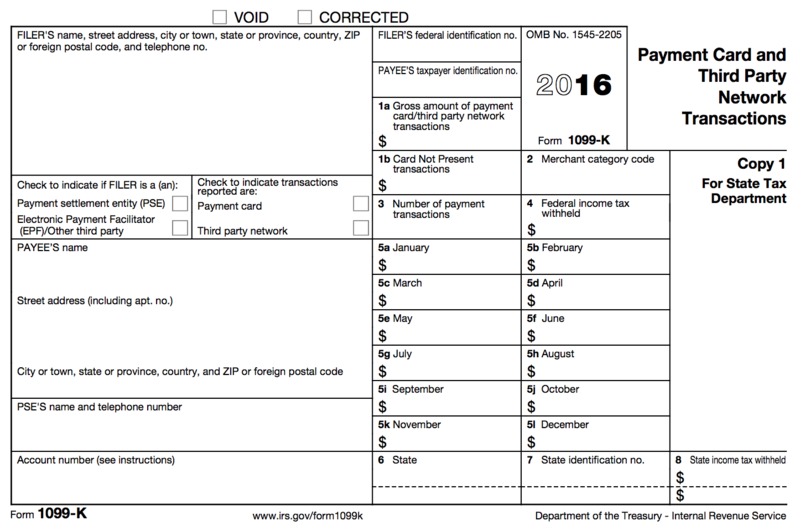 When using a 1099-K for information reporting, you must issue a copy to the payment recipient and file with the IRS. Who files a 1099-K form? Merchant Acquiring Entity (MAE): a merchant acquiring entity is a type of PSE that has the contractual obligation to make a payment to a merchant (e.g., Target) in settlement of a payment card transaction. Third-Party Settlement Organization (TPSO): an agreement where a third party handles payments between someone providing goods/service and the purchaser. What companies and organizations qualify as a TPSO? There’s still a lot of gray area surrounding the obligation to file and issue 1099-Ks. The form is relatively new and as the world of money transferring and business payments are changing, so too are the ways of reporting it. When in doubt about your particular situation, it’s best to get advice from a tax advisor. Keep in mind that your state may also have requirements and separate deadlines for reporting 1099-Ks and filing them. If you’re issuing more that 250 1099 forms, then you’re actually required to e-file with the IRS. And even if you plan on filing fewer than 250, the IRS actually prefers e-filing. Should you issue a 1099-MISC or 1099-K? Most of the time, businesses issue their contractors 1099-MISCs, which are used for direct payments to contractors for business services. As mentioned above, the threshold for sending a 1099-MISC is if you’ve paid them over $600 over the course of the year. As online and digital payments become more pervasive, many companies may need to issue a Form 1099-K, which is typically reserved for electronic payments and payments by credit card to contractors. Traditionally, third-party settlement organizations like Paypal have used this form to report payment transactions. The reporting threshold for 1099-Ks is much higher than for 1099-MISC. Third-party settlement organizations are required to issue a 1099-K after 200 transactions and paying out over $20,000. Handle filing and delivery on your own: With this option, you compile, print, deliver, and file all the 1099s on your own. You’d probably want to consider this option if you expect to organize and issue very few 1099s. 1099-K Filing Service: Services like XTRM exist to help you with this process of gathering information and filing. This is ideal for companies with dozens to thousands of payment recipients. Hire a CPA or professional tax advisor: They will help determine whether you have a reporting obligation for payments made to contractors and may prepare the forms for you. They typically will handle filing with the IRS as well. *When in doubt at any stage of the 1099 process, it’s good to consult a tax advisor to better understand your requirements. If you neglect to file 1099s when you should or file too late, then you could face some hefty fines. Depending on how late you file, you can face anywhere from $50-$260 per failure, per form, with a maximum of $3,193,000 per failure. 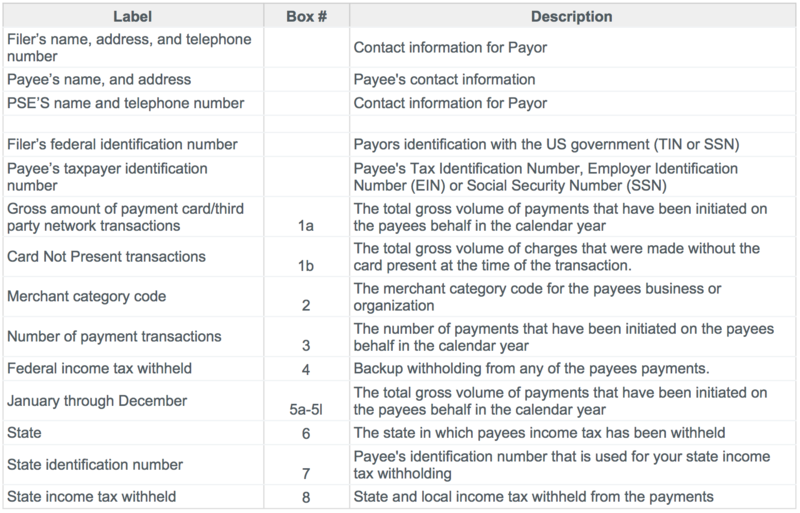 In other words, a payor can be assessed $260 per form for failure to file with the IRS and $260 for failure to furnish the same form to the payee (for a maximum of $6.3 million). — RELATED ARTICLES —1099 Filing Deadlines for 1099-MISC and 1099-KFederal 1099 Filing Requirements (1099-MISC & 1099-K)The information contained on this website is a summary of certain United States federal income tax rules relating to the reporting and taxation of payments processed by Payable. This discussion is based upon the provisions of the Internal Revenue Code, Treasury Regulations promulgated thereunder, judicial decisions, and published rulings and administrative pronouncements of the Internal Revenue Service, all as in effect as of the date hereof. These authorities may change, possibly with retroactive effect. Any such change in the law could alter or modify the statements and conclusions set forth on this website. The summaries included on this website do not purport to deal with all aspects of U.S. federal income taxation that may affect you in light of your individual circumstances. The information contained on this website does not address any reporting or tax consequences under state, local or foreign tax laws.